Charter operators are responsible for finding their own school site. Finding sites that are available, appropriate and affordable can be difficult, and creative solutions are often needed. Charter leaders should think “outside the box” when exploring facilities. This section includes numerous examples of how Minnesota charter leaders have demonstrated this creativity in finding and creating spaces that meet the needs of their programs. Facilities related expenses, including rent, utilities, maintenance, cleaning, insurance, etc., will constitute a significant part of your budget. It is important that you consider this issue very carefully. appropriateness of the proposed lease in the context of the space needs and financial circumstances of the charter school. 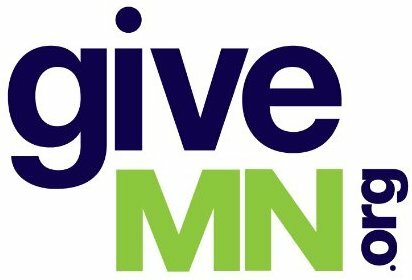 Minnesota charter schools receive state funds to help cover the cost of leasing space (“lease aid”). (M.S. 124D.11, subd. 4) The law prohibits schools from using these or any other state funds to purchase real estate, so almost all schools rent their facilities. (M.S. 124D.11, subd. 7) Schools are allowed to own their own buildings, as long as they do not use state funds to pay for them. Charter school facilities financing has become a critical issue around the nation. It is very difficult to find appropriate, affordable space. Policy makers and others are growing increasingly concerned about the proportion of a school’s resources (both financial and human) that are absorbed by the facilities issue, and thus unavailable to support teaching and learning directly. In response, a variety of strategies are being developed to help charter schools meet their facilities needs. These include, for example, credit enhancement programs (which provide loan guarantees for facilities related expenses) and other vehicles for making space available to charter schools. Since Minnesota charters typically don’t own their facilities, credit enhancement can be used to support building renovations. Because it takes several years for a charter school to build its credit rating, credit enhancement helps schools get financing at a lower rate than they could on their own. Two organizations that are willing to provide credit enhancement to Minnesota charter schools are the Charter School Development Corporation and the National Cooperative Bank Development Corporation. In addition, the Charter School Development Corporation has a small program through which it can buy buildings to lease to schools. The school identifies the property and is involved in any renovations, which helps ensure the property is designed to meet the school’s needs. See the resource section for other information about facilities financing. Enlist the expertise of realtors, architects, businesses, etc. in efforts to find and prepare a facility for opening day. Approach organizations to donate or lease their available facilities at an affordable rate. Consider making use of spaces that are in use, but vacant during the school day. Acquiring facilities can present charter developers with a challenging dilemma. It is often difficult to recruit students if there is no facility. On the other hand, schools are (and should be) reluctant to lease space before they have a good idea of their enrollment numbers. Schools need to both engage in an aggressive marketing campaign (with follow-up to make sure the students you recruit actually enroll) and look for a facility as early as possible. The following information provided by St. Paul charter leader Wayne Jennings could be used as a rule of thumb when exploring facilities options. See also, MDE’s Guide for Planning School Construction for additional suggestions. Amount of space per student in a conventional elementary school -100 sq. ft. Amount of space per student in a conventional secondary school -150 sq. ft. In planning, developing and implementing school construction projects, school districts must comply with a complex variety of state, federal, and local, laws, rules, and codes. It is very important that school boards employ licensed, knowledgeable and competent persons to represent the school district (administrators, architects, engineers, contractors and construction managers, fiscal consultants, attorneys) to represent the school district through this process. The highlights of many of the laws, rules, and codes that school districts must comply with are discussed throughout this Guide. Responsible persons representing the school district must further consult building code, fire safety, indoor air quality, and other laws, rules, ordinances and codes, as appropriate. Guide for Planning School Construction, Minnesota Department of Education, 15.
what floors young children can be located. There are, sometimes, waivers and alternative approaches to meeting the regulations. Often regulations have a phase-in period during which a facility may remain partially non-compliant while efforts to comply are being reviewed and/or implemented. Occasionally, a facility or portion thereof is exempt due to a pre-existing status (grandfathering). For example, a multi-purpose, or public gathering space might have different requirements than a classroom. A crucial resource for Minnesota charter schools is building lease aid, first approved by the 1997 legislature. The 2004-2005 requirements and processes for lease aid are discussed in detail in the attached memo from the Minnesota Department of Education. Includes a health and safety standards checklist. The Minnesota Association of Charter Schools can help schools with a variety of facilities related issues, including property procurement, lease negotiations, facility assessment, business planning, financial planning, leasehold improvement negotiations and facility mediation services. For more information, contact Norm Chaffee at 651-644-0432 ornchaffee@ncbdc.org. Charter Friends National Network and National Cooperative Bank Development Corporation (2000). A step-by-step overview of the facilities process, from business planning, needs assessment, and site selection through financing and construction. Minnesota Department of Education, January 2003. Center for School Change, 2001. A report with case studies showing how small schools and shared facilities have increased student achievement and safety, while developing stronger community support and involvement in the schools. Credit enhancement and other resources to support charter schools facilities needs. Contact: Michelle Liberati, Vice President, Michelleliberati@csdc.org. Credit enhancement and other resources (including loans) to support charter school facilities needs. Also provides equipment financing. Contact: Norm Chaffee (Minnesota contact),nchaffee@ncbdc.org. A study of nontraditional facilities financing for charter schools. Charter Friends National Network and North Central Regional Educational Laboratory.